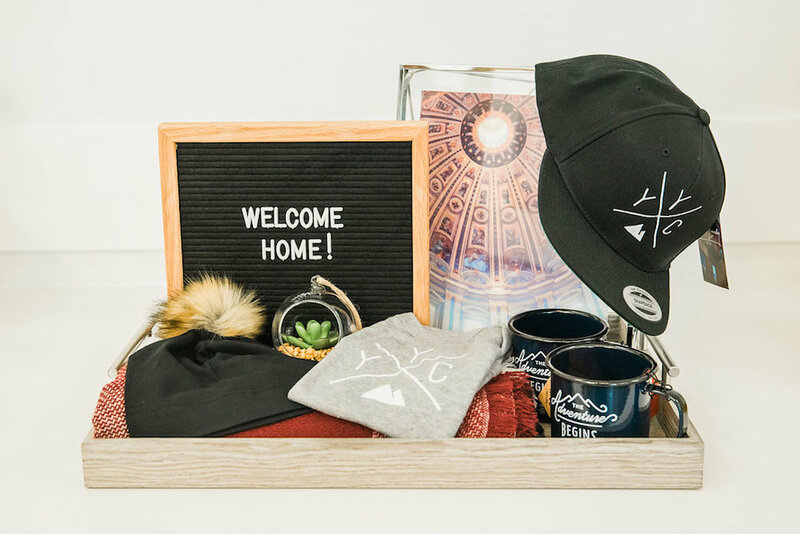 Show your dad or the father-figure in your life how much you appreciate them with a gift box from Bad Dad, a new Calgary gift box company. 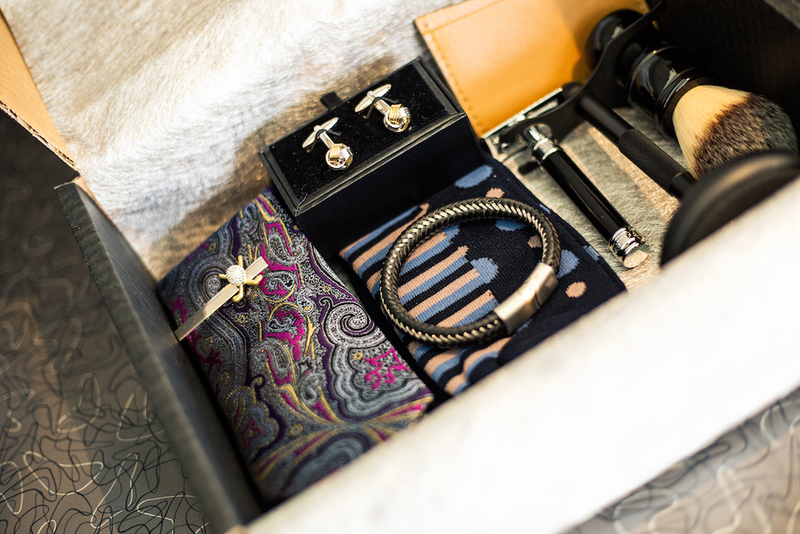 The Bad Dad boxes can be filled with three, five or seven pieces of men’s apparel, accessories such as ties or socks, grooming products and lifestyle products. These boxes make it easy to assemble some of your dad’s favourite things into one gift without visiting multiple stores. Frequency: One-time, 12-month quarterly subscriptions or select a number of boxes. If you or someone you’re gifting to is interested in health and fitness, this is the gift box you should go with. 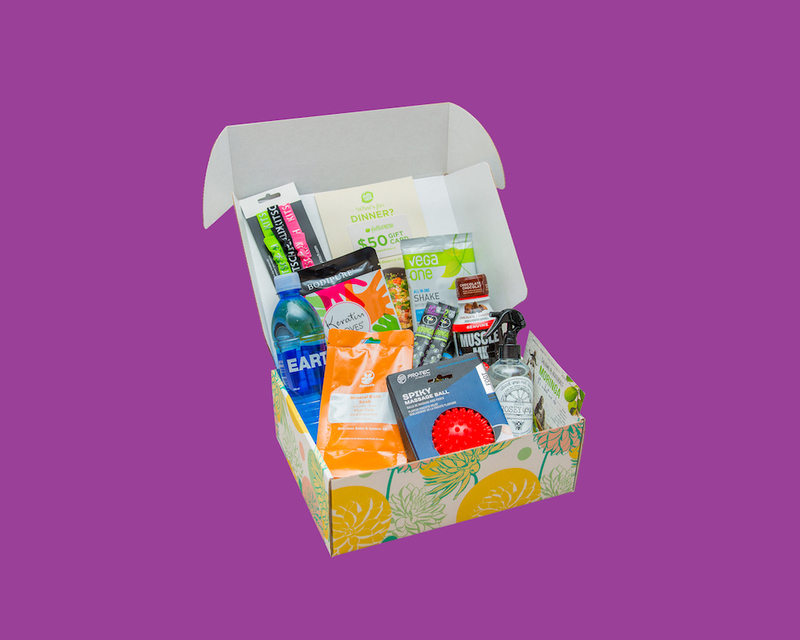 My Balanced Box offers quarterly gift boxes filled with healthy snacks and drinks, workout products, accessories and more. 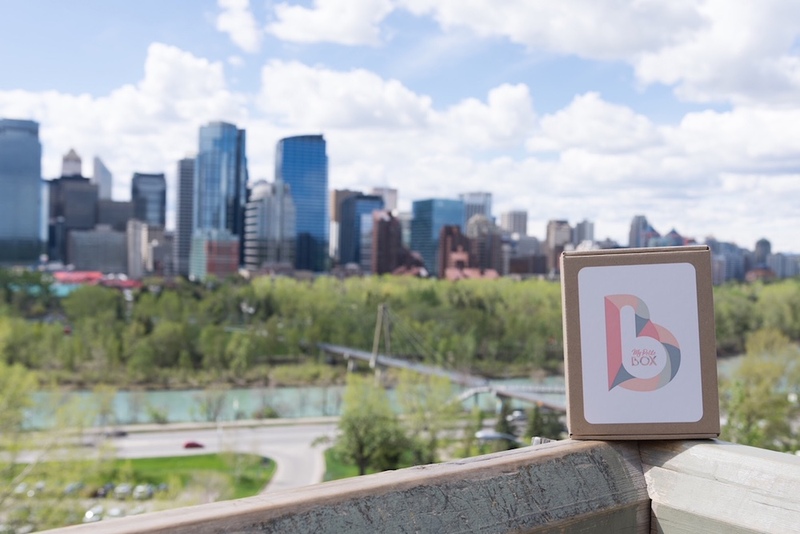 If you live in Edmonton, Calgary, Saskatoon or Vancouver, you can also choose a city-specific box for only $5 more to receive a few additional local products/passes. Price range: $64 for one-time, $57.60 for a subscription (Calgary box). Frequency: One-time or every three months. Let a friend or family member know you’re thinking of them with a gift box from Boxsmith Modern Gifts. 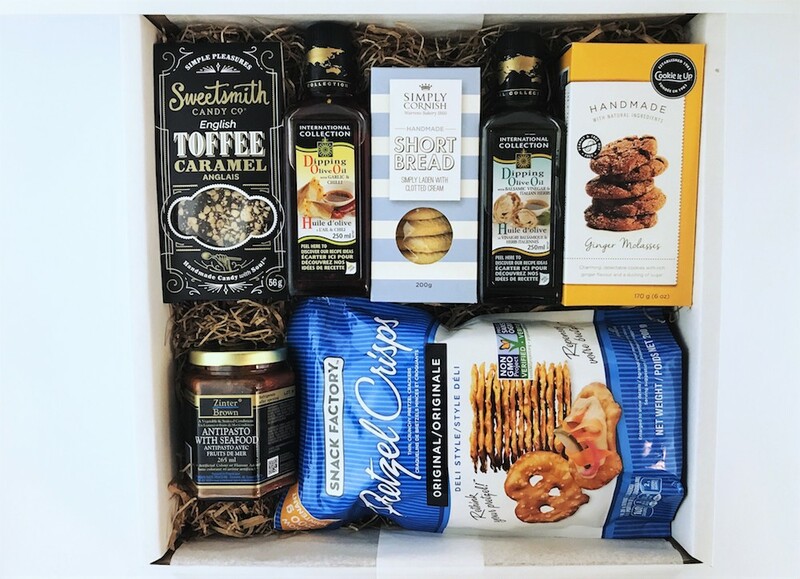 The boxes feature a mixture of food products (think Smarties, Krave beef jerky, pretzels, cookies and cocktail bitters) and/or lifestyle products such as jewellery, socks, scarves and more. Custom boxes are also available. Price range: $29 to $99 per box. Pick Up/Delivery: Delivery and local pick-up in Calgary available. Got a sweet tooth? This is the club for you. Sugar Cube offers candy subscriptions that range in levels from Sugar Lover ($30 a month for four to six servings of candy) to Sugar Queen ($150 a month for 45 to 50 servings of candy). There’s also a bulk version that is $25 a month. If you’re not interested in a subscription, all of these package options are available as one-time gifts as well. Price range: $25 to $150 per box. Frequency: One-time, every one to six weeks or every one to six months. 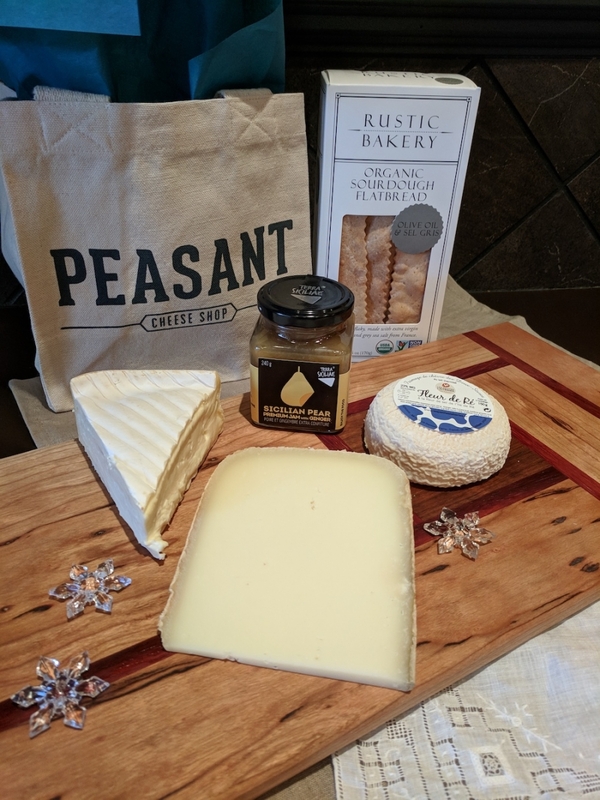 Put a smile on a cheese lover’s face with a subscription to Peasant Cheese Shop’s monthly cheese club (or just sign yourself up, we know you want to). You’ll get three different cheeses every month for either three, six or 12 months. The cheese packages also come with an accompaniment such as dried fruit/nuts and crackers. Price range: $199 to $779 depending on the length of the subscription. Frequency: Monthly for three, six or 12 months. Pick Up/Delivery: Store pick-up and delivery available. 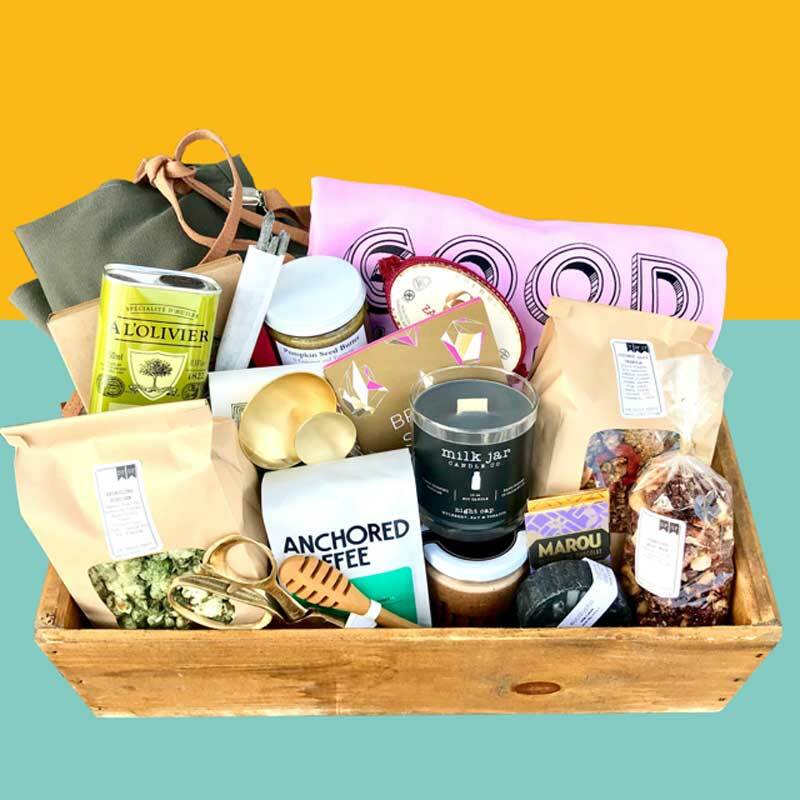 Fenvii Collective’s capsule collection of gift boxes has something for every occasion, from birthdays to date nights to housewarmings. When a gift box is purchased, part of the profits go towards the organizations that the items were sourced from, and part goes towards the Fenvii Foundation’s program initiatives. Pick Up/Delivery: Pick-up in Calgary and delivery available. Keep your freezer stocked with gelato with Fiasco Gelato’s gelato club subscription. Each monthly package comes with four jars of gelato in special rotating flavours. You could end up with a tasty jar of peanut butter stracciatella, chai cheesecake or hazelnut latte gelato. Price range: $50 to $600 depending on the length of the subscription. Frequency: Monthly for one, three, six or 12 months. Pick Up/Delivery: In-store pick up and delivery available. East Village shop Liz & Lottie knows how to put together a mean gift basket. Request a particular theme (maybe someone has a new baby, it’s a particular holiday or you’re going to a housewarming party) and the store owners will select products from the shop to create a perfectly assembled gift package. You can also request that specific store products be included. There are also special holiday baskets. 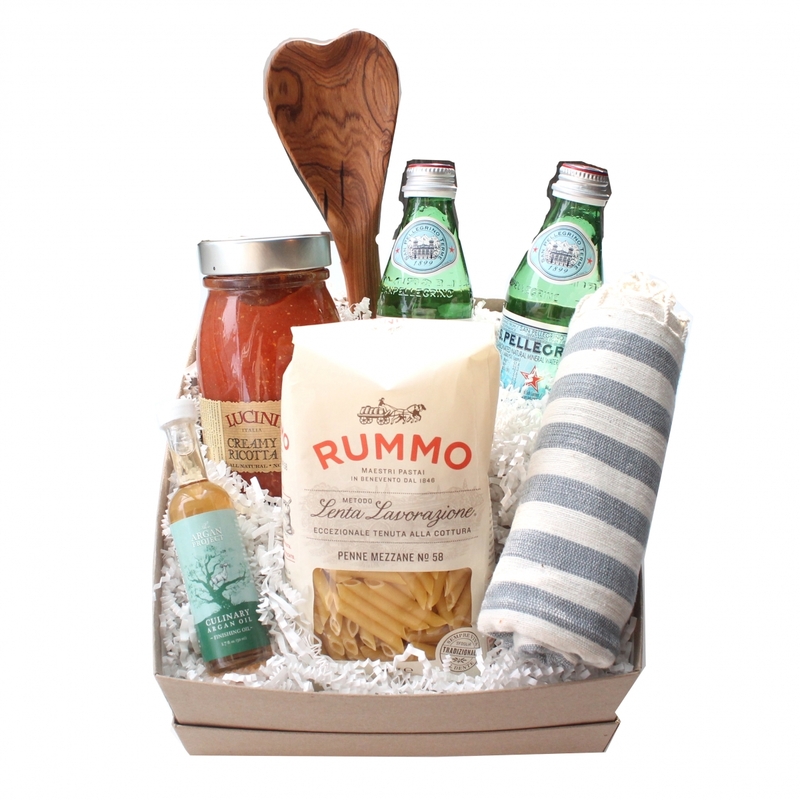 Price range: Regular gift baskets starting at $158 per gift basket. Holiday themed baskets available for $20, $50 or $75. Pick-Up/Delivery: Pick-up at the store only. Orders can be placed in-person at Liz & Lottie or by calling/emailing the store. For a little monthly pick-me-up, order a subscription to My Petite Box for yourself or gift one to a friend. The small gift boxes, which are 20 cm x 15 cm x 9 cm in size, come filled with a few products from a single local maker or company. Past boxes have featured items like deodorant from Routine, bath and body products from Sweetie Products, tea from Tearrific and more. Price range: $27 to $30 per month. Frequency: Minimum one, three or six months. Pick-Up/Delivery: Delivery and Calgary pick-up available. Local eatery and market Our Daily Brett offers gift boxes filled with cool local products, notable brands from outside Calgary and popular ODB treats. 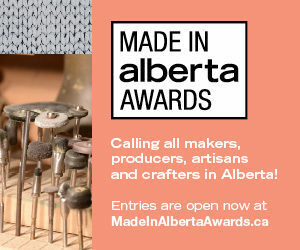 This year, box themes include cocktails, different countries such as Italy or Mexico and a local box filled with items from Calgary businesses and makers. Price Range: Starting at $100. Pick Up/Delivery: In-store pick up or delivery available. Email sarah@ourdailybrett.com to place an order. 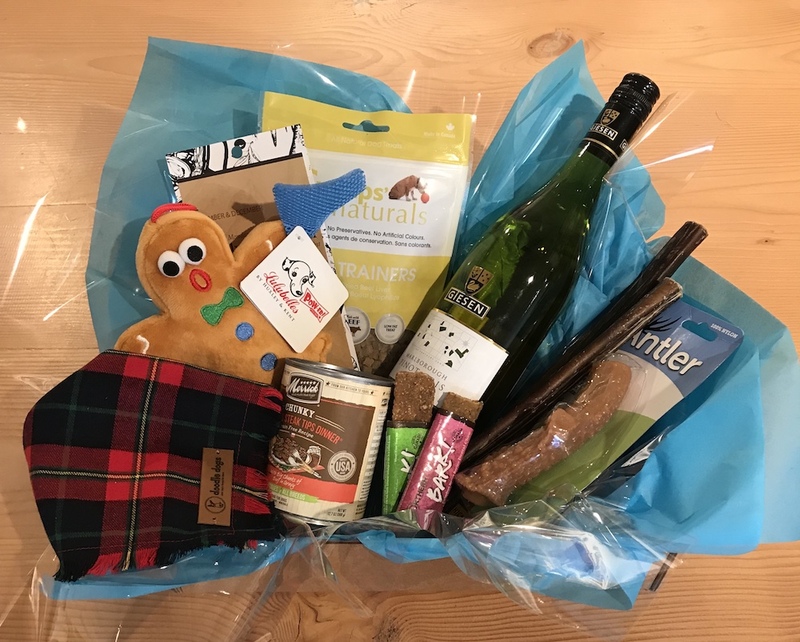 Treat yourself and your favourite canine friend to the Pampered Pooch Wine Box from Doodle Dogs (in collaboration with Vin Room and Drycleaning by Dave). While you enjoy the bottle of wine, your dog can eat dog treats, don a new accessory or play with a toy. Price range: $60 for a one-time box, $50 for a bi-weekly subscription or $60 for a monthly subscription. Frequency: One-time or bi-weekly/monthly subscriptions. Pick Up/Delivery: In-store pick-up and delivery available. SparrowBox Gifting Studio’s gift boxes are so aesthetically pleasing, you’ll probably be tempted to keep the one you order for yourself instead of gifting it to someone else. The majority of the products featured in the boxes are from Canadian companies, including honey by Vancouver’s Mellifera Bees, caramels from Ontario’s Hugo & Nate, bath products from Montreal’s Elucx and tea from Calgary’s Rosso Coffee Roasters. Several of the boxes are available in full and mini sizes. Price range: $50 to $138 per box. 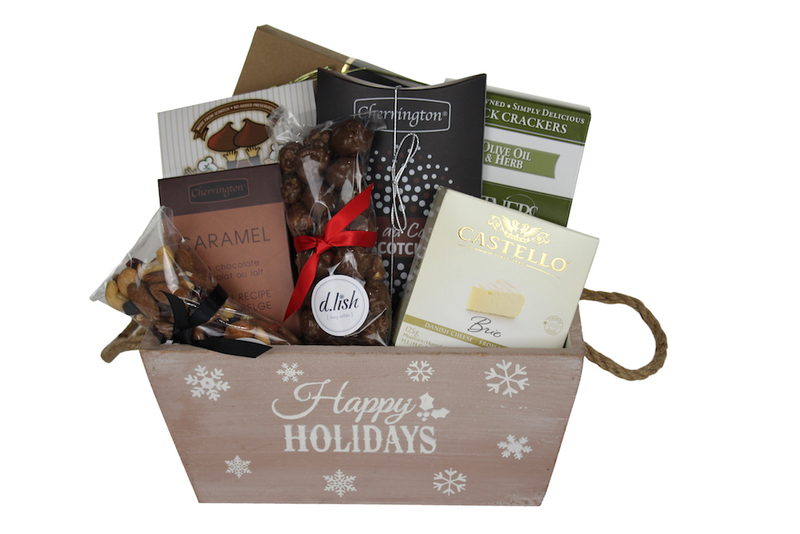 The Gift Designers offers several dozen different gift baskets with themes that range from “get well soon” to ones for the holidays. Depending on which theme you choose, the baskets come filled with items like wine, cheese, chocolates, popcorn, coffee mugs, body products and more. These are a great gift option for any time of the year. Price range: Baskets range from $13 to $181 each. Pick Up/Delivery: Pick-up and delivery available. Vine Arts, a popular wine, beer and spirits store with two Calgary locations, offers a monthly wine club. Subscribers get six bottles of wine a month, and you can save $10 off the price if you pick them up in-store. The wines also come with tasting and pairing notes. Price range: $150 per month. 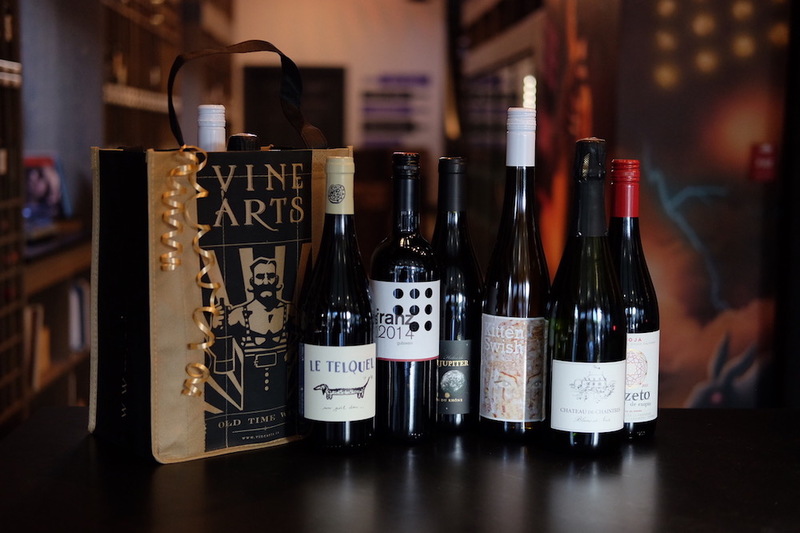 WineCollective’s monthly packages of two, four or six bottles of wine are a great way to try wines from different countries and regions. Most of the subscription options feature a mix of red and white wine, though a few come with the choice of either just red or white wine. Each package of wine also comes with a tasting card. Price range: $57.24 to $155.74 per month. 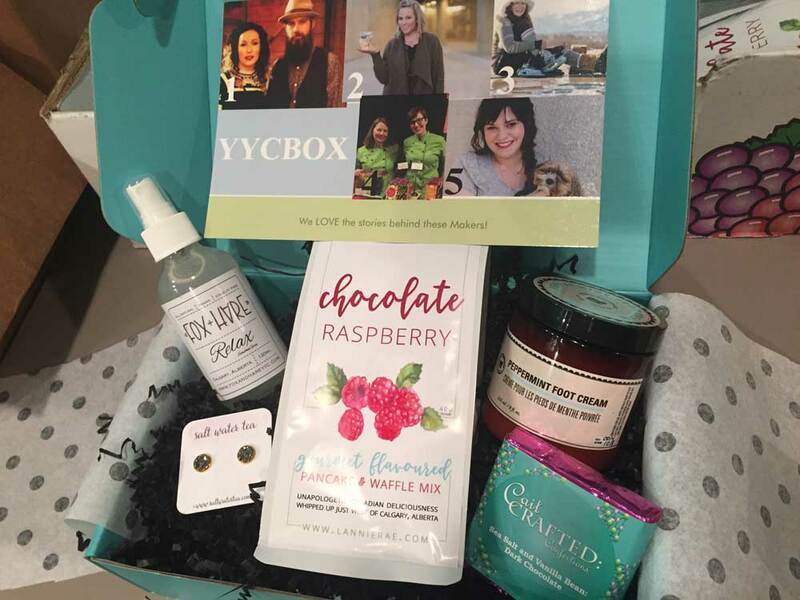 Edmonton-based gift box company YEGBox expanded into Calgary earlier this year and launched a YYCBox filled with local goodies. 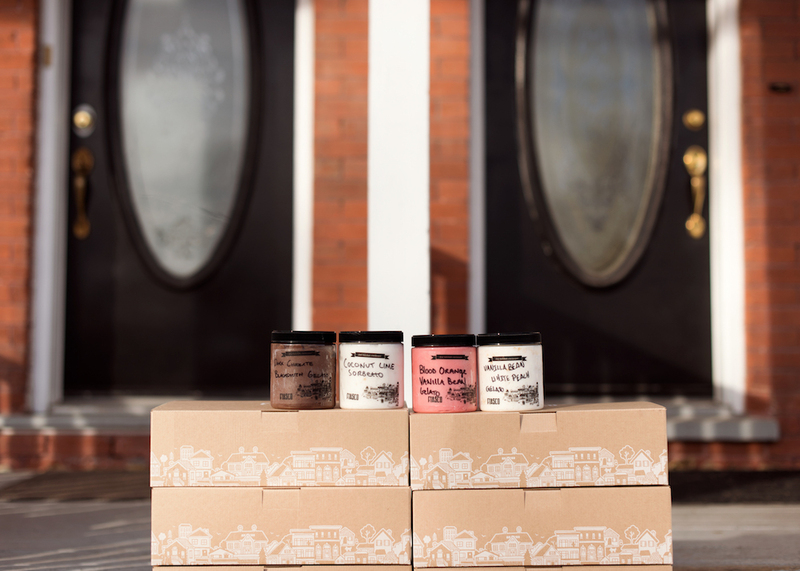 The first YYCBox featured five locally made products such as jewellery from Salt Water Tea, gourmet pancake and waffles mixes from Lannie Rae Gourmet and chocolate from Cait Crafted: Confections. Be sure to read the card that comes with each box to learn more about the featured local makers. Price range: $55 per box. 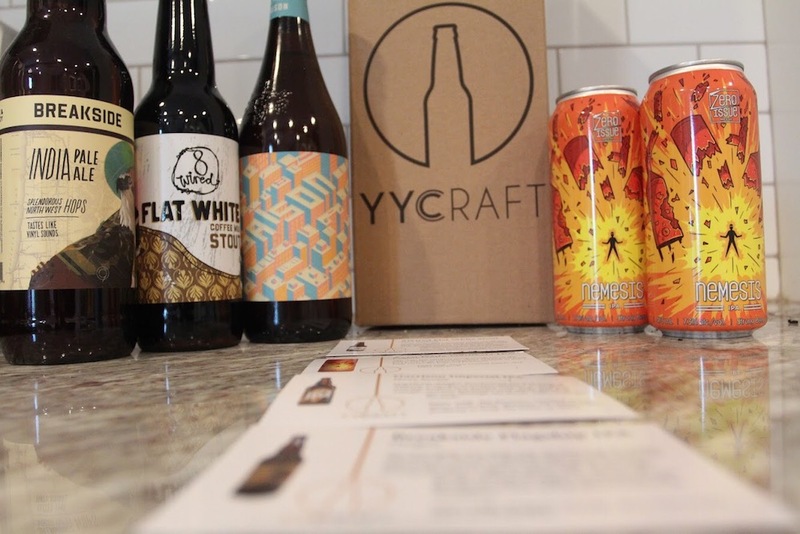 The YYC Craft beer subscription service is a great way to try out new beers. Subscribers decide if they want four or eight large format craft beers in each package, and a different selection of craft beers are delivered to them monthly. The beers are chosen for them based on the results of a taste survey. You can also peruse YYC Craft’s e-store in case you want to add an extra beer to your box on any particular month. Price range: $37.99 to $71.99 per month. Frequency: Monthly for three or six months. Pick Up/Delivery: Delivery available, in-store pick up available upon request.